You can earn money. You can make money by giving rights to someone, either temporarily (a license) or permanently (an assignment). For example, the artists who created Cabbage Patch Dolls earned millions from licensing their creation. In return for letting a company “use” their copyrighted designs, they earn a royalty based upon each doll sold. someone hired you to create the work, and it was a “work made for hire” (check out crafts workers and copyright). It’s difficult to separate the art from the function in your work. Copyright doesn’t protect functional objects; it protects artistic expression. So you can’t copyright a shirt, but you can copyright the illustration on a shirt. Your designs are minimal and use common shapes. If your crafts work is minimal—that is, you avoid artistic statements in favor of pure craftsmanship—or if your work uses common geometric or natural shapes, you may have difficulty claiming copyright protection. Because copyright protects originality, not craftsmanship, even the most beautifully stitched leather goods or stunning glassware may not qualify for protection. Real Life Problems Protecting Minimal Designs. In 1987, jeweler Paul Morelli created a line called “Sprinkled Diamond.” The first piece was a heart-shaped pendant with a zigzag geometric pattern of inlaid diamonds flush to the surface. Tiffany & Co.—after reviewing slides of Morelli’s work—began selling a similar line of jewelry. Morelli sued Tiffany even though the Copyright Office refused to register Morelli’s minimalist designs saying they lacked sufficient originality. Morelli’s expert witnesses testified that his designs were the result of great creativity and were innovative, but it was not enough to overcome the jury’s belief that the jewelry was comprised of basic geometric shapes and lacked copyrightable expression. The result was a major victory for Tiffany & Co. When in doubt, register with the Copyright Office. Don’t conclude, based on the information above, that you can’t get a copyright. Let the Copyright Office be the judge. Regardless of your opinion about your work’s functionality or minimalism, attempt to register it. Getting a cppyright doesn’t guarantee you can stop others—your copyright can still be challenged in a court battle—but it creates a presumption of validity that’s tougher to beat. 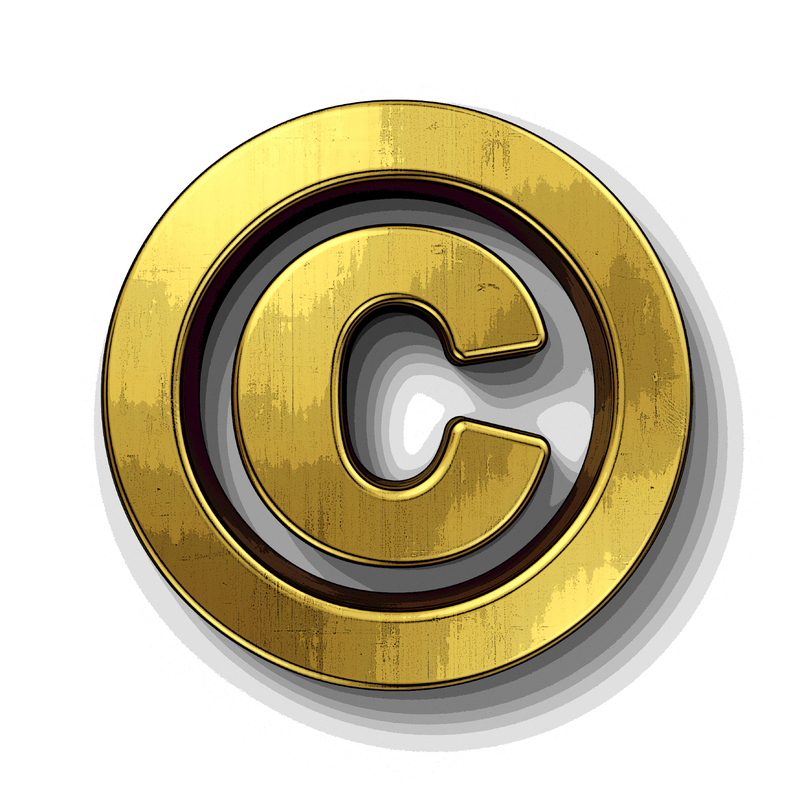 Learn more about copyright registration. Although it’s not required anymore, it’s still advisable to place the familiar copyright notice (for example, Copyright © 2015 Art Jones) on each published copy of your crafts work. (A crafts work is “published” when it is distributed to the public.) This tells anyone who sees the work that the copyright is being claimed, who is claiming it and when the work was first published. This notice prevents an infringer from later claiming that the infringement was accidental, and may provide additional benefits when you seek damages from an infringer. Copyright protection begins once a work is created and usually lasts for the life of the artist plus 70 years (for works created by a single author). Works made for hire are protected for 120 years from their date of creation or 95 years from their first publication, whichever is longer. The same duration of copyright will apply regardless of whether the work is registered or not.